The tales of his studies and his slavery are of little importance here. It is his legacy in modern times that we’ll focus on. You see, here in my town, there is a Center that bears his name where daily meals are served to those who are hungry. The food program at St. Vincent de Paul has been always been dependent on charitable donations and the service of community members who staff the kitchen. While donations are greatly appreciated, the non-perishable packaged goods so often received by our food banks often lack importance on the food pyramid. Thus, a new vision was cast. The local staff have set a goal of a weekly delivery of 1000 lbs of fresh produce directly to the kitchen. And so they set out to plant their very own garden. Today, their small green oasis is providing a welcome supplement to the donated items. Their mantra is permaculture. 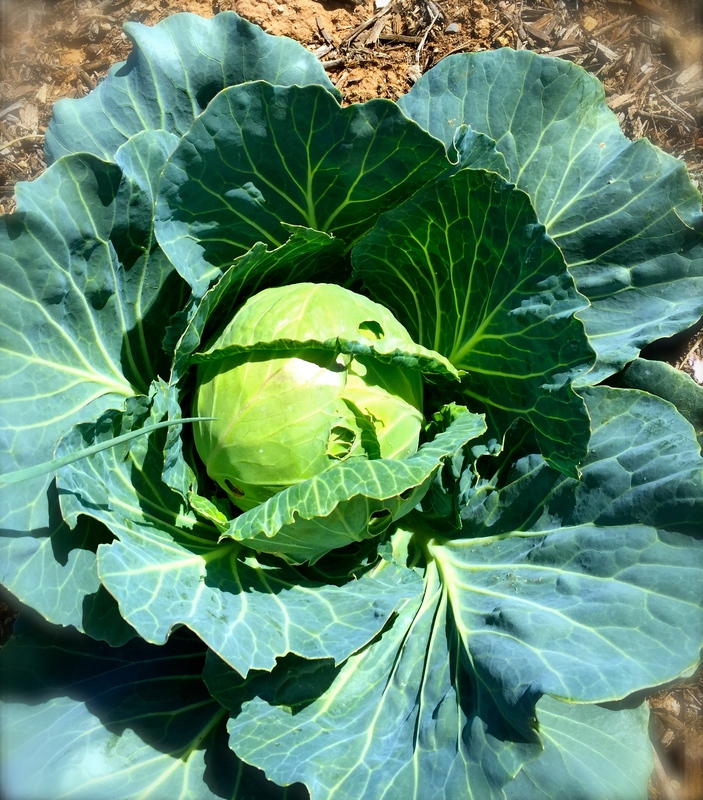 Permaculture is a holistic system focused on creating a continuous loop in the community garden. It begins with the creation of healthy soil, features the planting of diverse produce, and then refocuses on the dirt once the harvest is complete. Make soil. Grow produce. Harvest. Repeat. Like the continuous studies of the good Saint, this garden is similarly situated as a continuous learning environment. It is a bit of a laboratory where local entrepreneurs in hydroponics (water only) and aquaponics (waste and water) engage to test out new methods. They are experimenting with a tower which appears to be perfect for small balcony gardening. There is also a building just aching for occupancy by food entrepreneurs – a future ag-tech incubator. 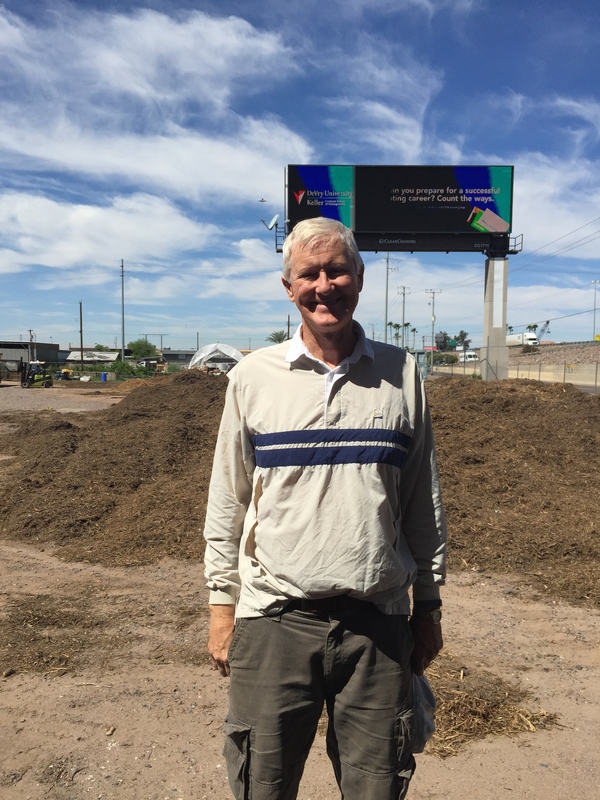 Our Urban Farmer guide, David Smith credits the proximity to the kitchen and ample volunteers for the success of this program. After having visited, I credit him. They say that the heart of St. Vincent de Paul is still incorrupt and is displayed in the chapel of the Daughters of Charity in Paris. I don’t know if this is true but I do believe his heart lies within this community garden. Fill a large bowl with cold water. Squeeze the juice from half a lemon into the water. Trim the tops and edge of stems from the artichokes. Cut them in half lengthwise and remove the choke. I often use a melon baller for this. Place the artichoke halves in the lemon water to prevent them from turning brown. Bring a large pot of water to a boil and preheat the grill for medium-high heat. Add artichokes to boiling water and cook for about 15 minutes. Drain. Squeeze the remaining lemon half into a medium bowl. Stir in the olive oil and salt and pepper. Brush the artichokes with a coating of the oil and place them on the grill. Grill the artichokes for 5 to 10 minutes, basting with dip and turning frequently, until the tips are a little charred. Serve immediately with the remaining oil and sprinkle with parmesan if desired. Fabulous share, Tammy ~ please pass the chokes! 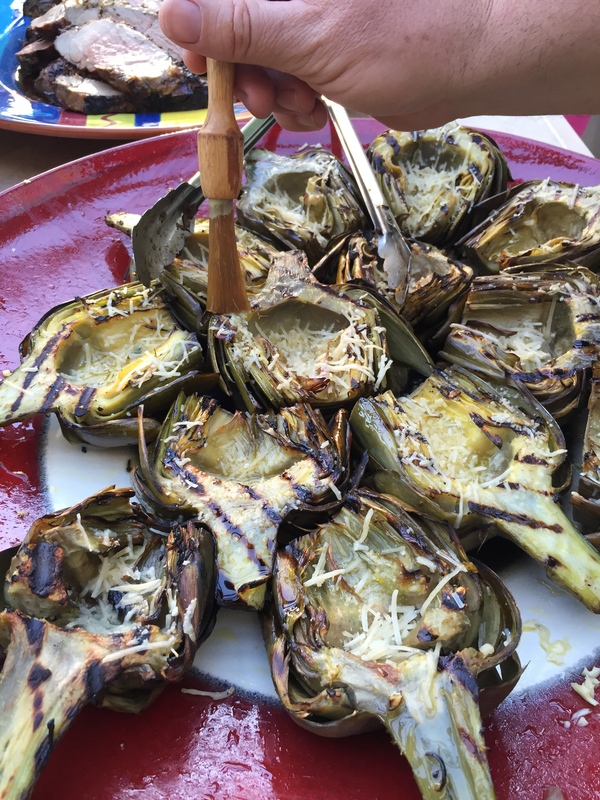 Grilled artichokes are an amazing dish! Besides the pure deliciousness, they are lo-cal and easy. I had never heard about the history of St Vincent de Paul food programs before–thanks for sharing. The artichokes look great. Wish we grew them here! Artichokes take a couple of years to get going but after that, they’re so easy to grow. This community garden is super focused with a mission so I’m very enthusiastic about it. I found your history of the St. Vincent de Paul food programs to be inspiring. Thank you for sharing….and those artichokes look amazing! This is a dish that I associate with Italy – but the good Saint was French. Do you like artichokes? Yes! Pleas pass the chokes!! Love your posts!! Thanks so much for reading! You’d love to visit this garden on one of your excursions. I love what is happening in this garden Tandy. It is focused on specific goals yet so many are coming forth with other innovations and ideas! Good to know that St. Vincent is alive in your part of the world too!! This is a great story. A cool tasty recipe too! 🙂 Yum! Do you celebrate St. Vincent Sophie? I love artichokes! And grilled sounds delicious! This year we are going to plant artichokes again! In this part of the world we are in winter now. I love artichokes and these look perfect! This year we are going to plang again artichokes here! Now we are in winter here but i last summer we plant tomatoes. They are annuals so you shouldn’t have to plant them each year. How do you fix them? I am glad to see this program in your area—the Nashville Food Project does something similar—with two large gardens, they grow /harvest fresh produce and make (and deliver) meals for the homeless. That’s terrific. I met a journalist in Denver who documented her family’s health after eating out of the food pantry for a period of time. It wasn’t good so these fresh food options are really important. Great share Tammy. Nice recipe indeed! Delicious looking recipe and great homage to St Vincent de Paul whose centers exist here too for all people who are hungry. Meals and food (unsold from big stores) are given freely. Thanks Tammy.